The Air traffic and ground traffic management will be continuously interested in avoiding dangerous situations and to increase the security for all airport operations. The primary function is the safe approach and landing in difficult visibility, even on unmanned airfields or helipads. 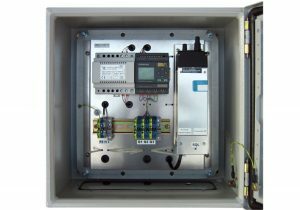 The LRC6201 Lighting Radio Controller is used by pilots directly from their cockpit as a ground-based tool to remotely control the lighting of runways or helicopter landing pads. The pilot simply hits the transmit key on the specified frequency, in accordance with ICAO recommendations. The main system component of the LRC6201 is the LRX6201 remote controlled receiver. It based on the technical know-how and quality rules of the established 6201 VHF transceiver series from Becker. Additional features like different time settings for lighting activation and 8.33/25 kHz channel spacing rounds off the design. Designed for installations in cabinets or pre-mounted on a dedicated base plate, the LRC6201 is your ideal tool to optimize the conditions of runway lighting and brightness to your requirements any time you need it, even after duty hours.